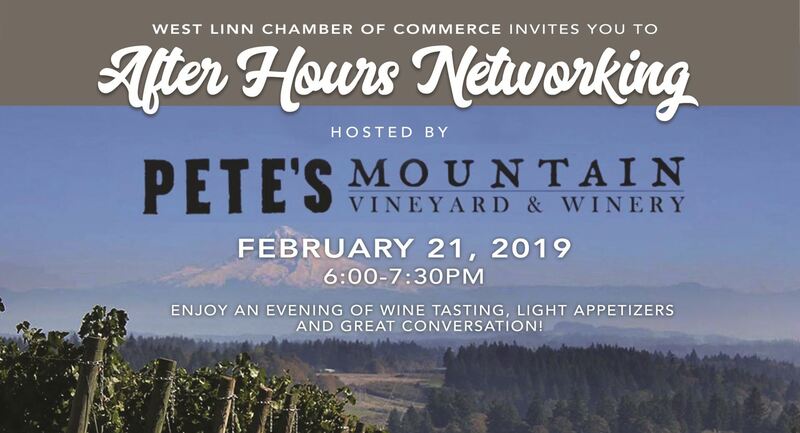 Pete's Mountain Vineyard & Winery is graciously opening their tasting room for us Thursday, February 21st from 6-7:30pm. We have reached our Tasting room limit! Thank you to Lark Cafe for providing appetizers. We will be sending an email reminder to all who RSVP'd. Thank you and see you Thursday!